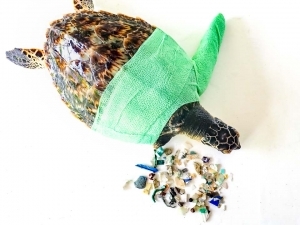 During the first few weeks of April, we encountered an incredible total of THIRTEEN Olive Ridley turtles, found entangled in ghost fishing nets. 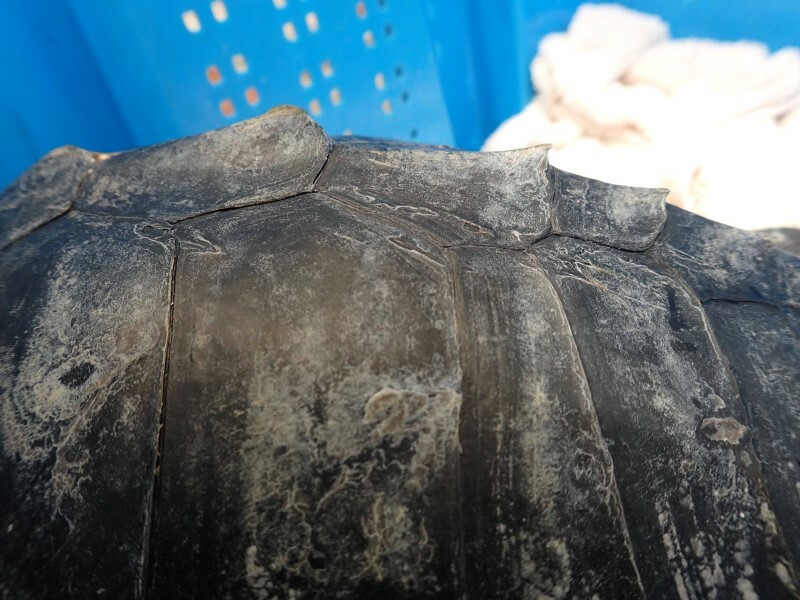 Thankfully, after checking carefully for injuries, ten of these turtles were released immediately back into the sea. 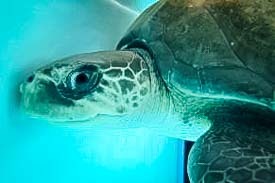 Three of the turtles were admitted to our rehabilitation centre, suffering from buoyancy (floatation) problems and flipper lacerations from entanglement in the netting. 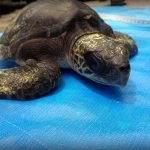 We currently have six Olive Ridleys (Lepidochelys olivacea) at our rehabilitation facility. All are currently healthy, active, eating well and gaining weight. 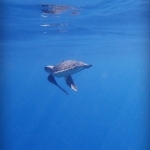 Four turtles are suffering from buoyancy syndrome, which is a secondary response to an underlying illness or injury, and prevents the animal from diving bellow the water surface. using a salt water hose to create a waterfall. Zahiya (admitted 26-Mar-12). 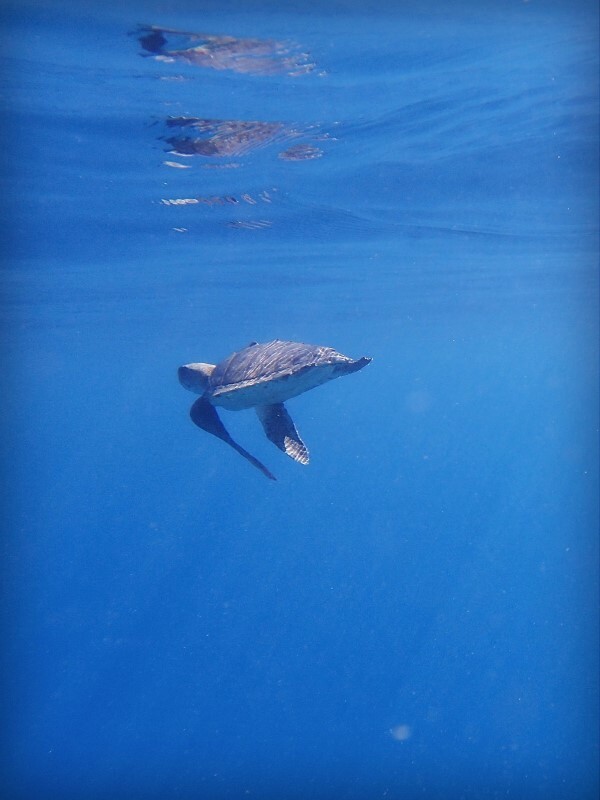 She continues to float on the surface (buoyancy syndrome) and has low overall activity levels. We are trying to increase daily activity by encouraging swimming and diving during feedings. Elsa (admitted 08-Jul-13). 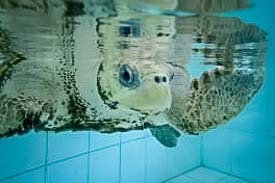 Healthy and active, and despite having lost her flippers, Elsa is often found resting at the bottom of the pool. 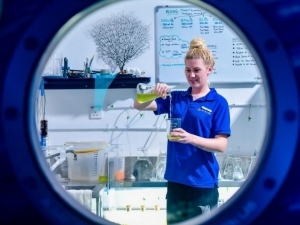 We are ‘target training’ to increase activity levels and improve diving, to prepare for a future home in an aquarium or zoo (where she will be an excellent ambassador for awareness of the dangers of ghost nets). Ossy (admitted 22-Aug-13). Ossy is very active but dives to the right side and will often flip over; we will experiment with some weighting for balance. Peggy (admitted 25-Aug-14). Peggy is very active but cannot dive. During feeding we feed her from different areas of the pool to encourage swimming. Kerry (admitted 14-Sep-14). Kerry is now floating laterally after the use of a weight belt for several weeks. Her activity level has increased. Deviana (admitted 02-Apr-15, released 21-May-15). 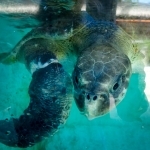 Deviana’s flipper amputation healed very quickly; she regained diving ability and developed a healthy appetite. The amputation wound was flushed daily with saline to remove any debris, debrided as necessary (removing dead tissue), cleaned with Betadine, treated with Silverleb and then bandaged. 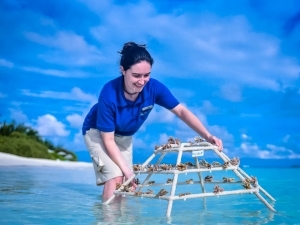 Deviana was successfully released back into the ocean on 21 May. These are the types of rescues we hope for! 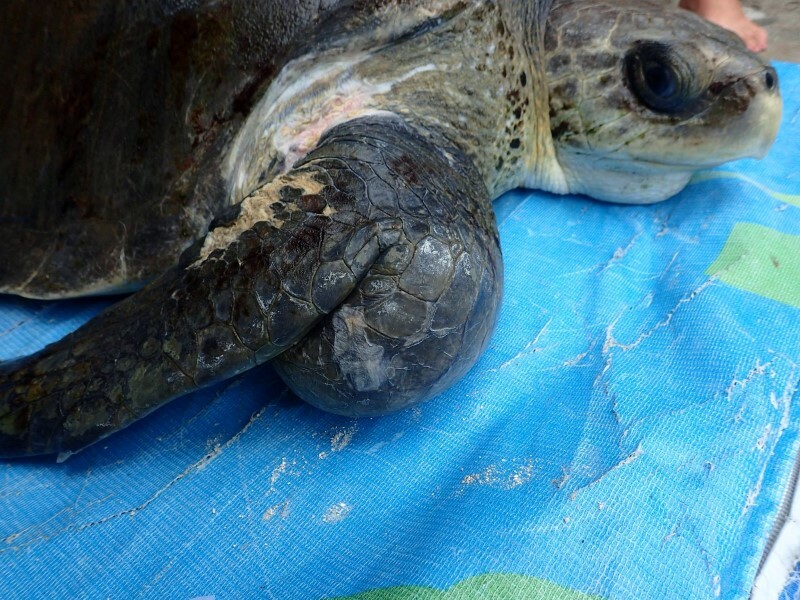 On 28 April, a juvenile Olive Ridley was found entangled in a net by the Four Seasons Landaa Giraavaru Dive and Launch Team. 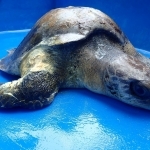 It is quite rare to see a juvenile Olive Ridley at this life-stage. The team brought the turtle back, to ensure it was healthy. 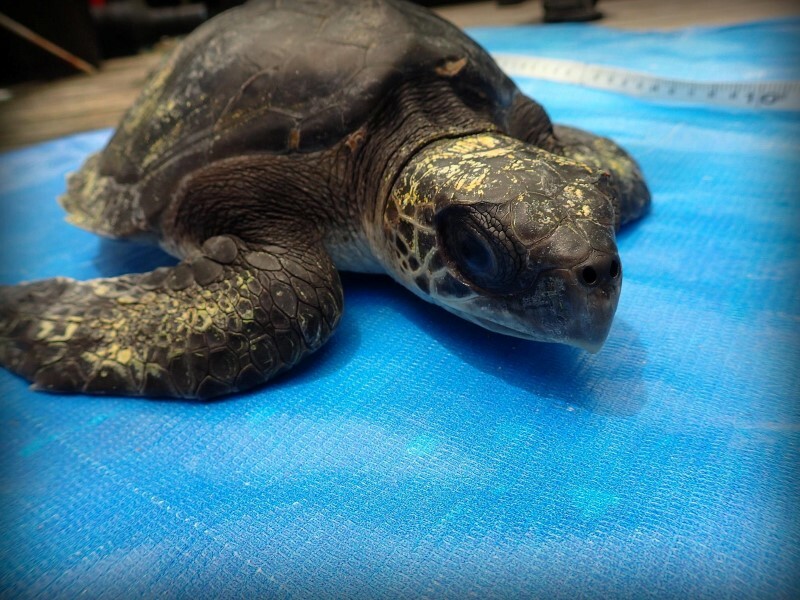 After a quick check-up, weigh-in and measurement session, the young turtle was sent on his/her way back into the big blue! 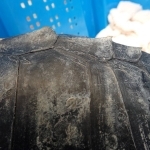 Prior to release we took identifying photographs so should the turtle be encountered again we will be able to identify it. 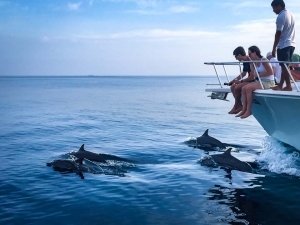 Special thanks to all those involved in the rescue and release. Good luck little one! 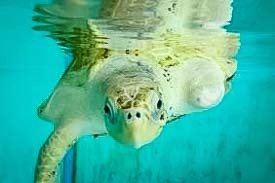 Sadly, two of our rescue turtles have recently recently died from their injuries – Bonita and Kalo. 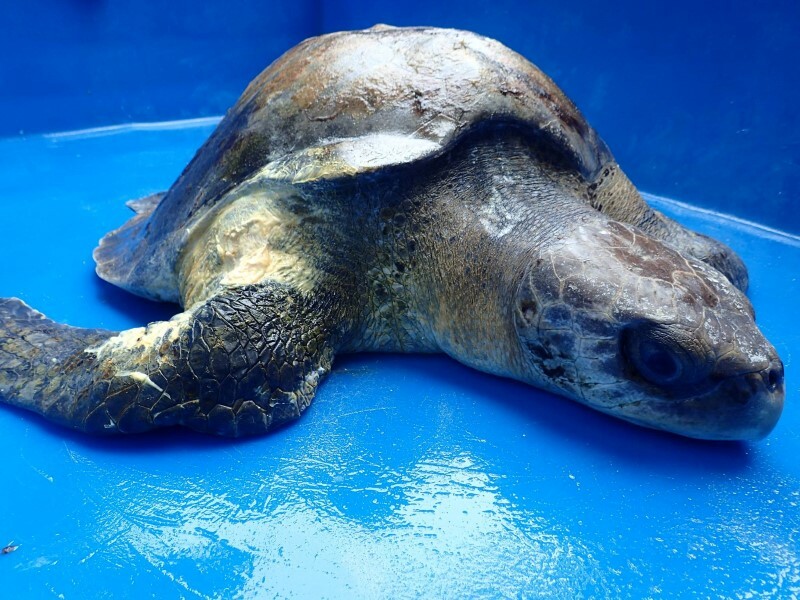 Bonita – Olive Ridley turtle, admitted 15 March, female adult (40+ years old), died on 28 April. 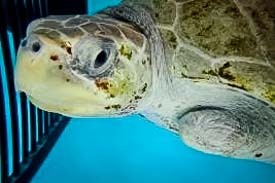 She had been found floating near Meedhupparu Island Resort (Raa atoll), and was very dehydrated and underweight on arrival at our Centre. 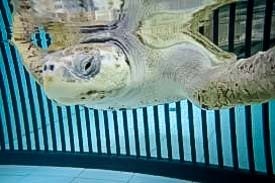 Treatments included freshwater baths for dehydration, and injections/IV-drip of dextrose solution to increase her weight. 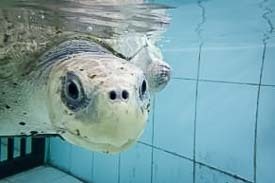 Bonita did show some signs of improvement during mid-April, and started eating squid, but then took a turn for the worse and died on 28 April. 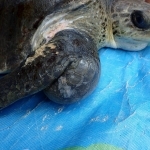 Kalo was found entangled on 20 April with a large flipper abscess, which was successfully drained the following day. She appeared active, healthy and with a good appetite (although with some buoyancy problems). After a week at our centre, however, Kalo started showing signs of dehydration, so we started administering fluids. Over the next few days, her appetite and activity levels started to decrease, and she sadly passed away on 30 April.